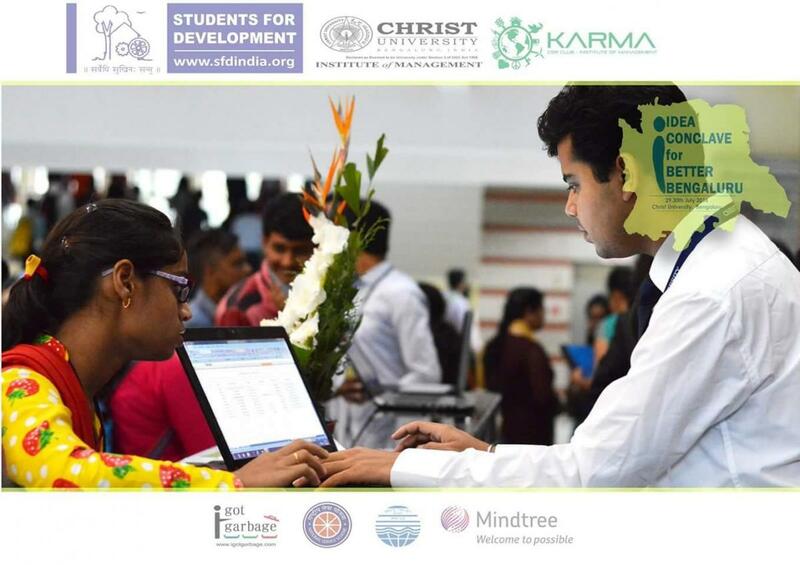 Students for development is a forum to promote the need for sustainable development in its appropriate vision. 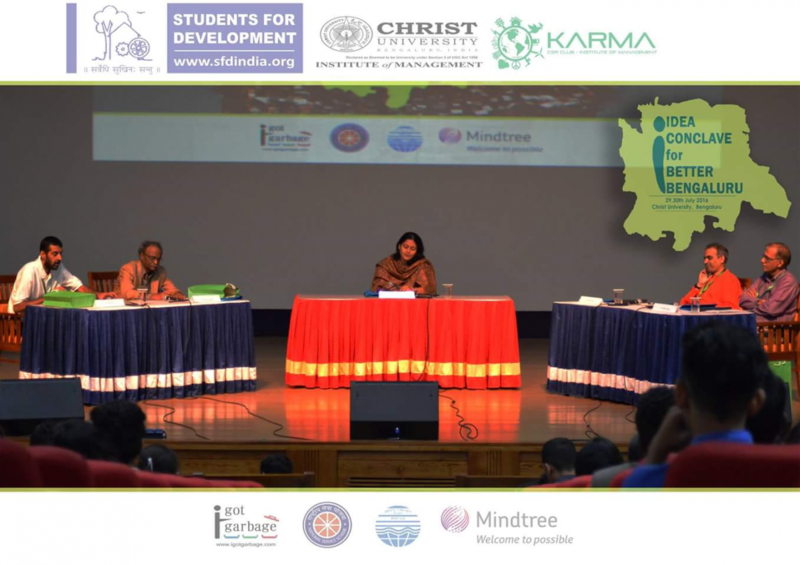 In this forum while strongly arguing the case of sustainability, it does not limit itself to the environmental issues like water conservation and management, plastic recycling and forest conservation. It rather focus on the ways of engaging with these issues in a way which can integrate various socio, cultural, political dimensions gets integrated in the holistic fashion. It is the conviction of SFD that without an integrated view the idea of development can be skewed and can be at times hindrance growth of human potential. SFD was initiated to understand, promote and disseminate the right concept of DEVELOPMENT to all the people in general and students in specific. Namma Bengaluru, the dream destination for many across globe who come with lots of hope of leading a quality life and to live in reality of their own liking. Bengaluru is symbolized as the engine of economic growth and also shares a space with social, cultural and economic experience for ages for its culture and development. The people migrated to Bengaluru are often absurd to the city and due to this namma Bengaluru has renowned by many names such as garden city, silicon city, lake city and this are major roles which contributed in positioning India in global domain . conditions and quality of life which is a serious threat of city fading its glory and the aura of ‘ garden city’. Hence by achieving sustainability in urban development of land and resources, improved mobility, economic dynamism, higher environmental quality, safety, security, accesses to urban services and social cohesion. 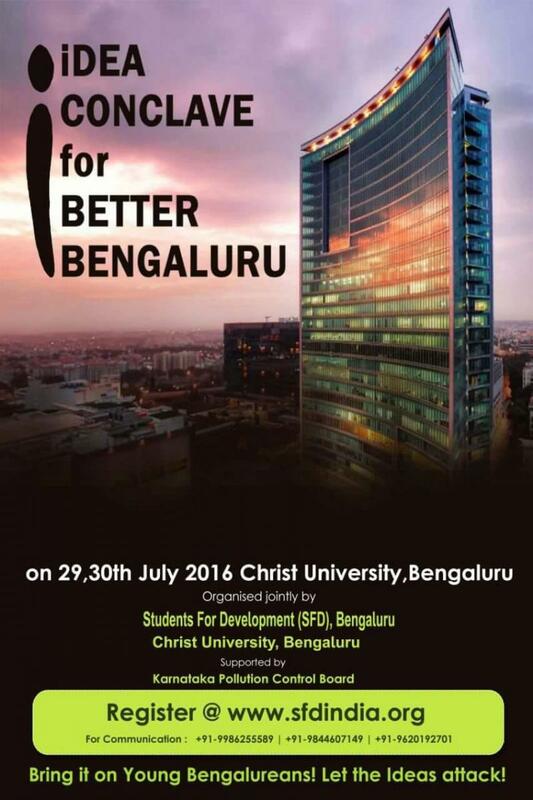 The ICBB 2017 will be a thought provoking process for the sustainable Bengaluru transformation process. By sharing research findings, experience and success stories from scientists, academicians, policy decision makers, development manager, environment activist, public intellectual, NGOs, RWAs, media, youth and students. The conclave is expected to further research and policy needs for sustainability, it will also suggest action programs to trap the potentials of urbanization and to address the issues and challenges. Challenges and potentials for sustainable development. Ideas /models/ concepts enlightening the solutions for issues are welcomed. Students, research scholars and other stakeholders from institutes, student activists, NGOs, RAWs, government officials and policy makers are welcomed to attend the event and shoulder the responsibility transforming Bengaluru to Better Bengaluru. 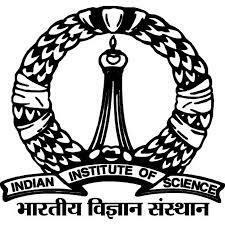 Registration fees will be 200 Rupees for each individual for both delegates and participants. Best 3 selected ideas will be incubated, free mentorship for next one year and will be awarded SFD- Swachh Bengaluru Prabari Puruskar. Best 5 plans will be bought into action under the campus 2 community activity of SFD. Presentation should be precise with the topic and focused on solutions. 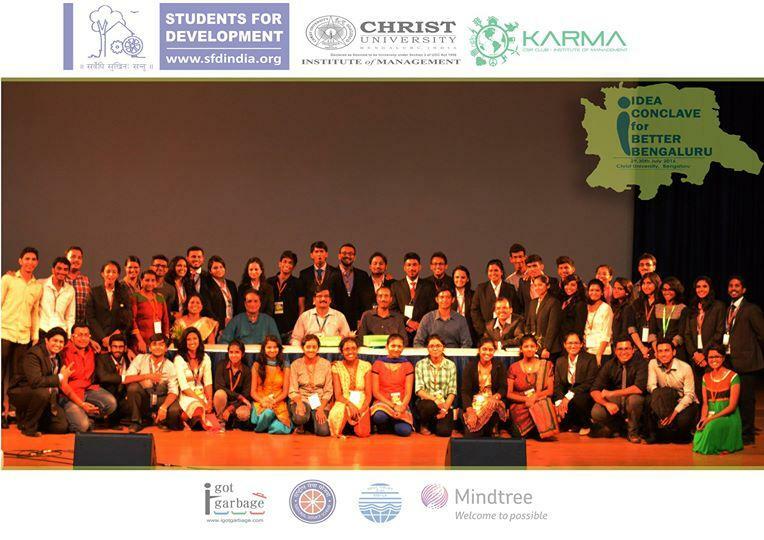 Idea conclave for better Bengaluru 2016 was organized in CHRIST UNIVERSITY. There were quiet a good number of 160 entries of which 60 were short listed and the ideas where staged.